AGGRESSIVELY PRICED!! 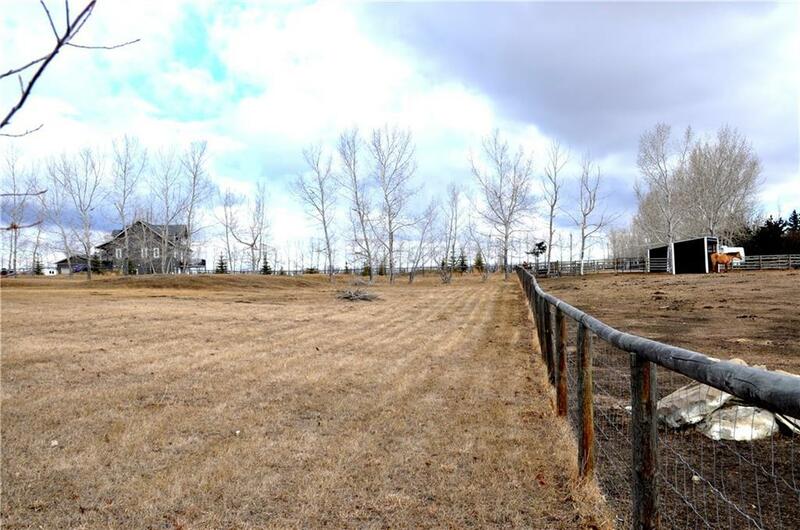 Here's a peaceful country acreage 2 km from Okotoks Town limits (west), with unobstructed pastoral views to the east and south. Great neighbours close by yet private. 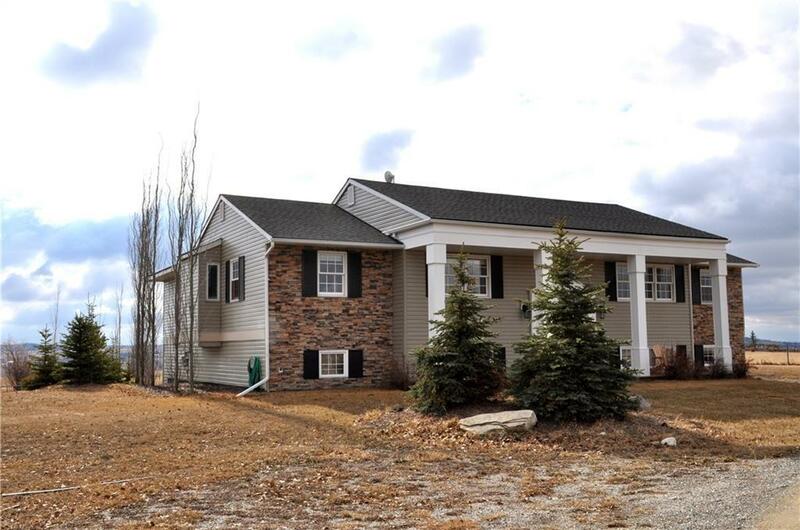 This beautiful 5-bdrm bilevel has a fully finished walkout basement with 2 addtl bdrms and a full 5-piece bathroom. Large windows throughout allow in natural light. Main floor features a chef's dream kitchen with 6-burner gas store, all ss appliances, massive granite island with sink, loads of new pot lights and fixtures, a 2-sided brick fireplace (not functioning). 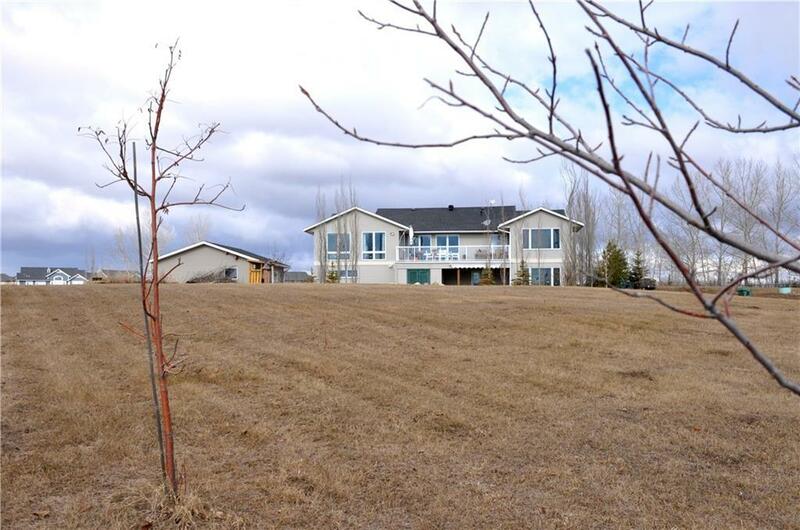 Large master bedroom with garden doors to an east facing upper deck with a fabulous view, a 5-piece ensuite AND a huge walkin closet with built-ins. Main fl 2124 sq ft, B'ment 1147 sq ft. 2 family rooms on the main with a formal living and dining room. 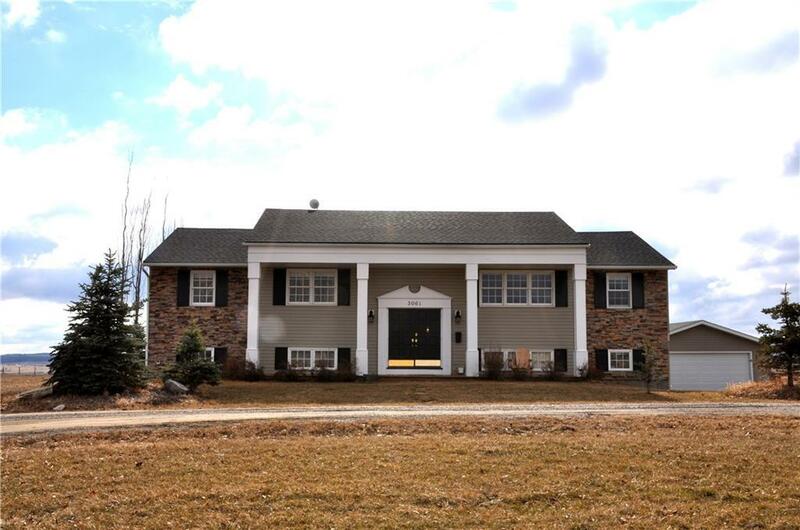 There is a 3-car attached garage, heated & insulated with 3 door openers. Also a 2-car detached garage, floor needs concrete. Squeaky clean home and a pleasure to show. Plenty of room for large SHOP! Listing provided courtesy of Royal Lepage Solutions. © 2019 CREB®. All Rights Reserved. Data supplied by CREB®’s MLS® System. CREB® is the owner of the copyright in its MLS® System. The Listing data is deemed reliable but is not guaranteed accurate by CREB®. The information provided is for consumers’ personal, non-commercial use and may not be used for any purpose other than to identify prospective properties consumers may be interested in purchasing. The trademarks MLS®, Multiple Listing Service® and the associated logos are owned by The Canadian Real Estate Association (CREA) and identify the quality of services provided by real estate professionals who are members of CREA. Used under license. The trademarks REALTOR®, REALTORS®, and the REALTOR® logo are controlled by The Canadian Real Estate Association (CREA) and identify real estate professionals who are members of CREA. Used under license. Data last updated: 2019-04-23T11:29:31.547.